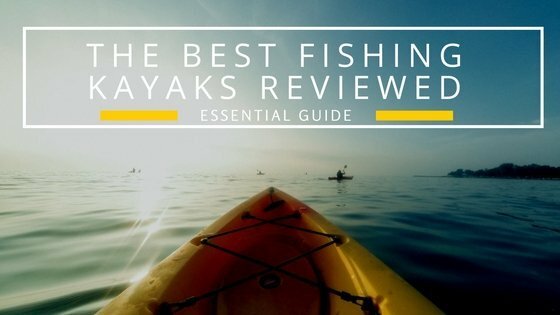 We rate and review the best fishing kayak on the market. Whether you looking for an inflatable fishing kayak on a river or the ocean we’ve got the 10 best. 1.0.0.15 You might want to consider some safety gear head over to the Best PFD's reviewed by me. Kayaks and fly fishing are two things that fishermen don't often put together. It's hard enough to get a decent cast while wading in shallow water or standing at the shoreline without the added struggle of flying a cast from a kayak. It's, however, possible and quite fun if you master it. 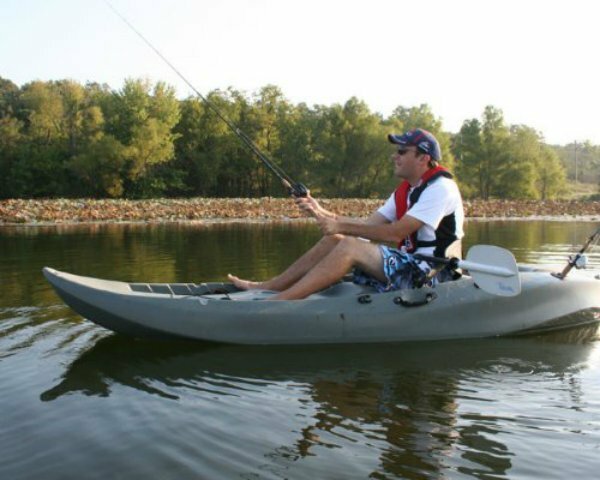 Compared to other fishing styles, fishing from a kayak offers plenty of benefits especially when you consider the stealth and mobility that the best inflatable fishing kayaks offer. Working shallow waters, reaching off-road secret spots, getting close enough to feed fish, navigating small streams – nothing matches kayaks. Float boats, canoes, skiffs, and prams hardly come close when it comes to the silence, maneuverability, and speed that inflatable fishing kayaks offer. You can also cover several miles when fly fishing in a yak - Check out the best inflatable kayaks here. Moreover, beginners find it easier to master the art of fly fishing when they use kayaks as compared to using canoes which aren’t as stable or easy to maneuver. 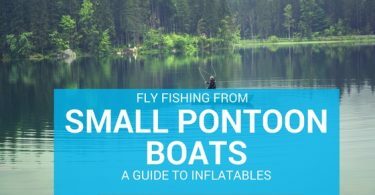 The other option is to check out my guide on the best small pontoon boats for fly fishing. You might want to consider some safety gear head over to the Best PFD's reviewed by me. Sit on top or open kayaks: They are the most popular type of fishing kayaks and often made from rubberized fabric and polyethylene. Open kayaks are usually slower and lighter than sit-in kayaks. They are safe and stable, and they're great for beginners. Sit in or closed kayaks: They are often made of rubberized fabric, polyethylene, and fiberglass or Kevlar carbon, but also inflatable. They are faster and more expensive compared to open kayaks. In addition, they offer less storage space and prior training is required before handling them. Being closed, these kayaks offer better protection from the cold. Pedal and sailing kayaks: They are the most expensive type of fly fishing kayaks and understandably so. They are incredibly fast, and heavy hence the need for a truck to transport. Anglers love them and they're ranked best ﻿inflatable fishing boats due to the ease of attachment a lot of accessories, strong and comfortable seating as well as causing less stress on the arm when paddling. Inflatable kayaks have become increasingly popular among fly fishing enthusiasts. They offer an opportunity to explore the outdoors and cast from a different perspective, all while getting a great workout. Kayaks come in various designs, each of which has its pros and cons. Some are perfect for cutting in rough waters while others are ideal for use in rivers. Choosing the right model for fly fishing can be a daunting task. Knowing more about the best fly fishing kayak brands is a good start to ensuring that you purchase the right product. This fly fishing kayak company prides itself in the manufacture of quality products from polyethylene plastic. As compared to carbon fiber and fiberglass, polyethylene is more durable, lighter and stronger. Lifetime designs kayaks that are specifically meant for recreational activities like fly fishing in ponds and lakes. Their kayaks offer both primary and secondary stability, something that beginners and pros look for in fly fishing kayaks. All fly fishing kayaks by Ocean Kayak are made from strong, durable polyethylene plastic. This makes their products a favorite among fishing enthusiasts. Their products have a perfect balance between lightweight but durable and high quality. Regular tests and inspections are conducted by the company to ensure that customers only get the best. Their kayaks are popular for roomy hatches, comfortable seats, bigger tanks and plenty of deck space. Founded by Tony Lunt and Eric Jackson in 2003, this company has been manufacturing high-quality inflatable kayaks since its inception. Over the years, the company has improved its manufacturing strategies leading to the production of some of the best kayak for fishing. 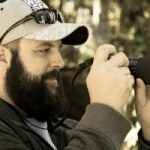 Some of the company's best models include the Coosa HD and Big Rig. They have a comprehensive F.A.Q available for all their boats. This brand’s products possess innovative designs that optimize on quality, performance and premium outfitting. 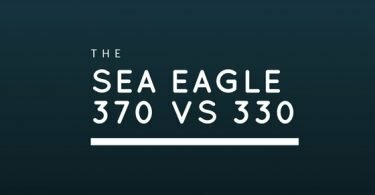 The company focuses on the hull so as to meet the requirements of anglers. Its products feature the most comfortable seating allowing fishermen to spend time in the water for several hours. Kayaks by Wilderness Systems are easy to use, comfortable and suitable for beginners. With the explosion of fly fishing and the multitude of products available to consumers, it’s understandable why one would ponder about which kayaks are best for fly fishing. There are various modern inflatable kayaks that are specifically designed for fly fishing with the prices ranging from a few hundred dollars to thousands of dollars. The good news is that we know a thing or two about inflatable fly fishing kayaks and have handpicked the best kayaks for fishing that offer value for your money. This is a serious fly fishing kayak you have to go for the more popular 14-foot size boat - it's seriously roomy. It can hold up to 450lbs in weight capacity and it is loaded with features that most anglers look for in their fishing kayaks. This lightweight, more compact is perhaps the most versatile product by Hobie what with incredible stability on lakes, rivers, and open ocean. Moreover, you can securely store two rods vertically and four horizontally and still access your tackle easily. It features dual steering controls, allowing you to steer from the left or right. The Boa system allows for lumbar support while vantage seating offers adjustability and optimal comfort while fishing. The H-Rail mounting system offers endless opportunities for customization and easy attachment of accessories. It has a cup holder that keeps your liquids close by. Other notable features of the Hobie Mirage Pro Angler 14’ include a retractable skeg for improved tracking as well as built-n Lowrance transducer mount for easy fish finder installation. This is a sit-on-top inflatable kayak that makes for a solid fly fishing boat as it’s built for going after the big catch. It comes with Element seating system that offers multiple options to users. 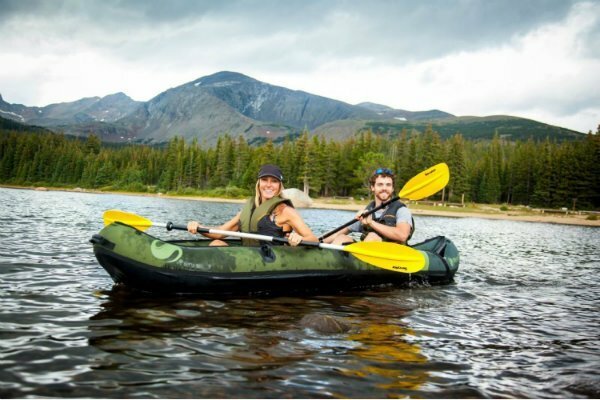 The comfort of this seating along with stern stingers that are designed to carry volume in the rear, this fly fishing inflatable kayak certainly delivers on comfort and stability. There are six mounting brackets that are strategically placed allowing you to organize your gear just the want without the stress of drilling into the hull. In addition, the Ocean Prowler Big Game Angler 12’9” has plenty of storage while the Click Seal bow can be used to cover up your gear keeping it dry and secure. It has a weight capacity of 550-600lbs as well as a platform built for stability. Other features worth mentioning include an oversized tank well with bungees, Mod Pod center hatch, a transducer-compatible scupper and the patented Glide Track Foot Brace System. This is a 13’2” kayak with several fly-rod friendly features. It is a reasonably fast kayak given its size. In addition, its seats are adjustable to allow for optimal comfort. And while it is designed for one person, it can accommodate up to 425 pounds so don’t shy away from loading the gear for a long fly fishing trip. It is most touted durability and stability, designed to navigate coastal turf and bays. It is heavier than most fishing kayaks, weighing 86lbs without any gear. The Exo-Ridge deck is slip resistant allowing you to move around the vessel without fear of tipping or slipping while the stand-up straps keep you balanced and secure as you reel in your catch. The hull consists of six removable mounting panels, hence you can customize your kayak without the need for drilling and the shell is made of LT900 polyethylene. Retainer bungees and dual-tip rod holders ensure that you can reach your rod easily. This fly fishing kayak is designed for both experienced and new kayakers. 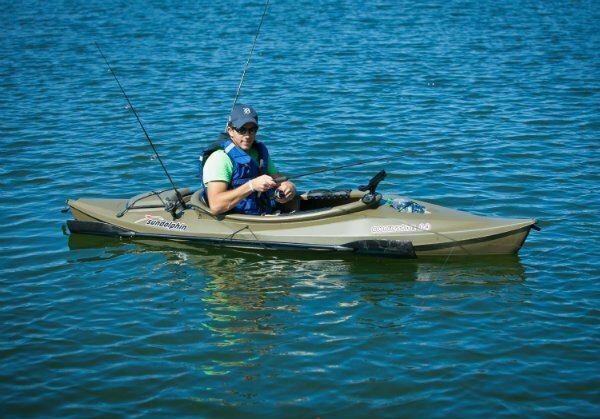 Like many entry-level fishing kayaks, the Perception Predator Pescador features a flush mount rod holder and a Scotty mount. These make it for one to make additions like three mighty mounts if they wish to use trackballs or two flush mounts. The hull is durable and tough, making it easy to take on jutting rocks and other obstacles as its double shell are made from polyethylene. It comes with a molded-in seat that features adjustable padded backrests for optimal comfort. The Keepers Foot Brace System allow paddlers to change position in the water. And while it is one of the smallest kayaks, it still has plenty of space to accommodate the paddlers and several accessories. Elastic bungee cords and tank well offer storage for your supplies. Like the original Lure 11.5', this Feel free Lure 11.5' Winter Camo has great stability, versatility, and comfort. The addition of a sonar pod has made managing electronics a breeze. In addition, paddlers can mount transducers and fish finders to the pod making it unnecessary to drill into the kayak. The sonar pod is removable for transportation and storage. The Feelfree Lure 11.5' Winter Camo comes with unique features like a wheel in the keel, multi-position, multilevel Gravity Seat, and Uni-Track system. The Gravity Seat is removable and can be adjusted to suit varying heights. The hull in combination with the padded standing platform allows you to cast while seated or standing. A track system and two fishing rod holders provide a variety of outfitting options while the integrated stern, bow, and side carry handles. When shopping for a fly-fishing kayak, there are a few things to keep in mind. Most fly fishing kayaks are designed with an accessory mounting capability and gear storage in mind. Before you start comparing inflatable kayaks, it is important to understand the essential characteristics of fly fishing kayaks. Below are a few things you need to keep in mind. SOK or SIK: Most fishermen prefer sit-on kayaks to sit-in kayaks. This is because sit-on kayaks offer more room for the angler to move around or throw a leg when catching fish for stability. They are also capable of rolling over without the risk of filling with water, making them safer. Sit-in kayaks are more suitable for situations where lighter craft is desirable or for moving waters. Length: Generally, longer kayaks allow one to cover longer distances more easily. On the other hand, the longer a kayak is, the more difficult it is to transport it to the launch site and maneuver in tight spaces. Propulsion: Most inflatable fly fishing kayaks can be propelled with the use of paddles. However, with the Hobie Mirage Driveline, paddles are an additional option. (Check out the best paddles for kayaking guide.) They are leg powered and this allows anglers freedom to use their hands for fishing. The popularity of electric-powered kayaks is also growing. Weight: It is important to consider what you can carry as well as the car-top capacity when shopping for a fly fishing kayak. Heavy fishing kayaks may call for use of a trailer cart during transportation to the launch site. Storage and extras: The amount of storage you need for your supplies and accessories is another important factor to consider when buying a fly fishing kayak. Is live bait storage important to you? What about a change of clothing or the fish you catch? Will you need storage space for either of the two? Whether a beginner or a pro fly fisherman, this guide offers crucial information to get you started on purchasing the best kayak for fishing. With fly fishing being one of the most exciting aquatic adventures, you want to ensure that you get the best equipment to optimize your experience. We hope covering the best brands, types of fly fishing kayaks, top products and buying guide will help make an informed choice.